This is either a big deal or not, and that may have to do a lot with your name. For some of us, the signal to noise ratio already provides a relatively anonymous experience. Probably the key reason that Mikko doesn't really use Facebook. Some folks (mostly women from what we've seen) even tweak their names just a bit, so they'll be unsearchable. Whatever your privacy tactics, if you have a Facebook account, now is a good time to review the settings at facebook.com/settings/?tab=privacy. We recommend turning off: Do you want other search engines to link to your timeline? 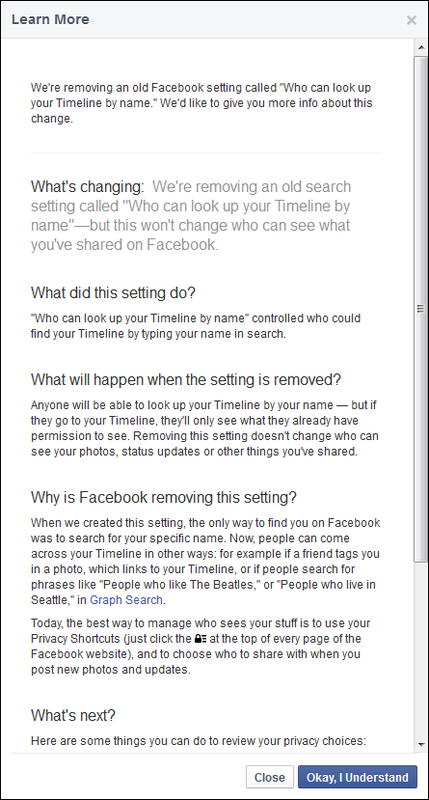 Updated to add: By the way, do you know somebody who needs some privacy settings advice? Refer them to our Facebook app: F-Secure Safe Profile.